Art, culture, leisure, and sports are some of the major components that play a huge role in any society or community. Most people prefer to engage in a variety of sports in their off time. And honestly, there is no better way to make use of your free time than a nice relaxing outdoor activity to enjoy the Florida sun. Some of the most common outdoor sports that people engage in include tennis, football, and basketball. But there is one sport that makes people think twice before trying. Any guesses what that sport is? Well, it’s undoubtedly golf! For beginners, golf may seem like a tough sport, there are so many rules to wrap your head around. Then, there are different kinds of clubs to know about. If those weren’t enough, there is also a distinct lingo that you have to get a hang of. Honestly, that could pose a serious challenge to a new golf player. But once you surpass the initial hurdle, golf can be one of the most fun sports ever. Here are a few interesting reasons why you should consider playing golf if you don’t already. Why Should I Play Golf? This may sound surprising to many but golf is one of those sports that is ideal for all ages and abilities. It means that you can easily have your 5-year-old son play golf with you or your 65-year-old father. This means that golf is a great way to bring loved ones together and have a fun, and healthy time with them. Did you know that golf is good for your health? We bet that you didn’t! Playing golf is known for improving a player’s cardiovascular health which, in turn, provides you with numerous physical and mental health benefits. It also helps build your muscles and strengthen your bones, especially if you carry your golf bag instead of getting a buggy for it. The long walk across 18 holes will keep your heart healthy and lower your cholesterol level simultaneously. Since golf positively impacts both your physical and mental health, it is safe to say that people who frequently play golf live longer and healthier lives. A 2006 research showed that golf helps increase your life expectancy by up to five years! 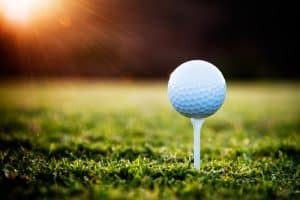 Are you interested in playing golf but don’t know any of the local courses where you give it a shot? Well, don’t worry. Here we have picked out our three favorite golf communities for you to test the waters. Designed by world-famous architect Arthur Hills, the golf and country club is often the first choice of for any golfer. River Strand Golf and Country Club is a luxurious community that offers a 27-hole golf course, 39,000 square foot clubhouse, a community center, two resort pools, fitness center, and lots more. Besides golfing, you can also try out other fun activities and sports such as tennis, swimming, or pickleball. It is the perfect place for hanging out with your friends and family. Visit this wonderful destination and make a day out of it. We highly recommend going on this amazing expedition. There are so many things that you can try out. For instance, if you are not into golfing, then you can enjoy other incredible amenities, such as eating out at a semi-formal styled dining room, grille room, or Tiki bar. Enjoy fine dining by ordering unique, scrumptious dishes in a serene area, surrounded by tropical plants and oak trees near the Manatee River. Rated four stars by Golf Digest, this semi-private country club is an ideal location for unwinding. The award-winning golf destination is located just a few miles away from the Sarasota International Airport. The timeless location and scenic natural view are the first two things that makes this club’s membership heavily sought after. Like River Strand Golf & Country Club, this club also features a 27-hole golf course. But what makes it distinctive is its convenient access to not only members but visitors and residents of the area too. Foodies can indulge in exotic cuisines at the Park Grille & Café while fitness fanatics can work out at the special fitness gym on site. If nothing else, you can take a refreshing stroll around the beautifully landscaped club and get some fresh air! Join Palm Aire Country Club and become an integral part of the Palm Aire Family. This is the kind of association you would never want to be without if you are considering taking on golf as a true hobby. Being a core member of this club, you will get the chance to socialize with different kinds of people, joining in from different walks of life. This is the ultimate place to build long-lasting friendships. Palm Aire is not only great for golf as like the other two courses we talked about, here you will also get the opportunity to try different group activities such as gardening, yoga and bridge. If golf is your main interest, you will be glad to find out that the club offers an 18-hole golf course, designed by critically acclaimed architect Joe Lee. Being one of the largest golf communities in the Sarasota area, Palm Aire Country Club is indeed a must-visit destination. You can gain access to their clubs during your stay at a Sarasota vacation rental in one of the beautiful communities built around the courses. To find out more about the golf vacation rentals available, contact Jennette Properties today!